Today is the fourth day of a novena to Blessed Mother Teresa. Castel Gandolfo, Italy, Aug 30, 2009 / 11:14 am (CNA).- At Sunday’s Angelus prayer in the courtyard of Castel Gandolfo’s apostolic palace, Pope Benedict XVI recalled the previous week’s liturgical memorial of St. Monica, mother of St. Augustine of Hippo and model and patron of Christian mothers. Today is the third day of a novena to Blessed Mother Teresa. Today is the second day of a novena to Blessed Mother Teresa. 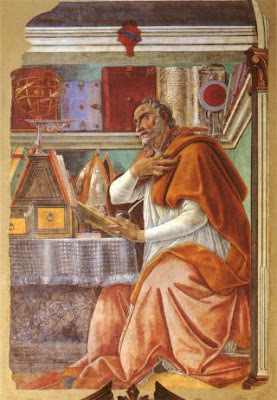 Happy feast of St. Augustine - "Late have I loved you." "Urged to reflect upon myself, I entered under your guidance the innermost places of my being; but only because you had become my helper was I able to do so. I entered, then, and with the vision of my spirit, such as it was, I saw the incommutable light far above my spiritual ken and transcending my mind: not this common light which every carnal eye can see, nor any light of the same order; but greater, as though this common light were shining much more powerfully, far more brightly, and so extensively as to fill the universe. The light I saw was not the common light at all, but something different, utterly different, from all those things. Nor was it higher than my mind in the sense that oil floats on water or the sky is above the earth; it was exalted because this very light made me, and I was below it because by it I was made. Anyone who knows truth knows this light. Late have I loved you, O Beauty ever ancient, ever new, late have I loved you! You were within me, but I was outside, and it was there that I searched for you. In my unloveliness I plunged into the lovely things which you created. You were with me, but I was not with you. Created things kept me from you; yet if they had not been in you they would not have been at all. You called, you shouted, and you broke through my deafness. You flashed, you shone, and you dispelled my blindness. You breathed your fragrance on me; I drew in breath and now I pant for you. I have tasted you, now I hunger and thirst for more. You touched me, and I burned for your peace." Excerpt from the Confessions of St. Augustine (Lib. 7, 10, 18; 10, 27: CSEL 33, 157-163, 255) is used in the Roman Office of Readings for the Feast (liturgical memorial) of Saint Augustine on August 28th. 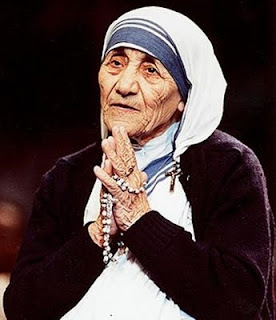 Novena to Blessed Mother Teresa begins today! Please take a moment to look at the official Mother Teresa website here and also look here for the novena that begins today. 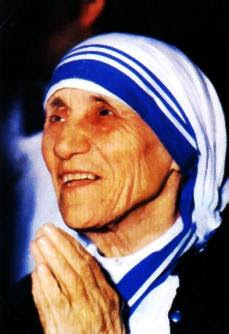 The novena will end on Mother Teresa's feast day which is September 5th. 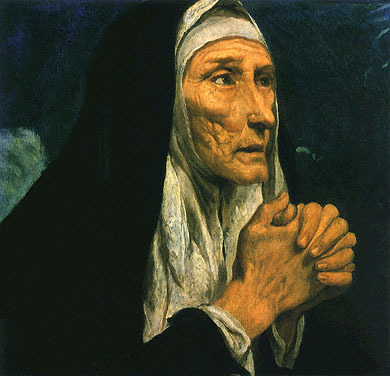 Dear St. Monica, your devotion as a mother and wife and your commitment to your family, especially in your prayer for them sets a powerful and timely example for us all. Please pray to the Blessed Trinity for me, my family and all I hold dear so that we will be open to the graces that our Lord in His great mercy wants to shed upon us. Help mothers and wives everywhere to know that our Lord never turns His ear from a mother’s faithful prayers for her family. St. Monica, pray for us and all who invoke your aid. If it is in God’s holy will, please grant me (here mention your request). Amen. Happy Feast of St. Monica! Go on over to "Embracing Motherhood" to read about St. Monica a powerful saint for mothers. 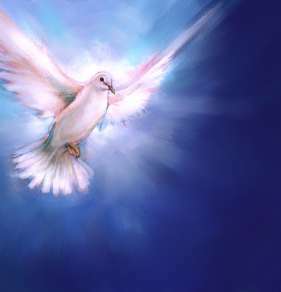 "O, Holy Spirit, beloved of my soul, I adore You. 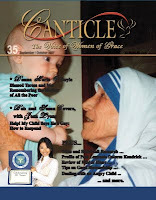 A bit about "Mother Teresa and Me"
Check out an article about my friendship with Mother Teresa by clicking here. In continuing our back-to-school theme this week at View From the Domestic Church, I'll be bringing you a college survival guide very soon along with information about our contests being held throughout the past week. All those who left a comment are automatically entered into a drawing for either a beautiful Rosary to keep for themselves to pray the many Rosaries for your college bound children or to give your "child" embarking off to college. 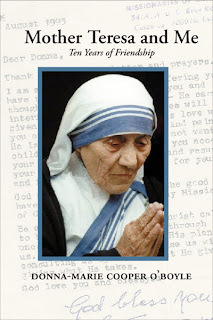 The other prize is a copy of my new book about to be released, Mother Teresa and Me: Ten Years of Friendship. So stay tuned. I'll be back after completing some things I need to tend to. God bless your Saturday everyone! Our guest blogger Josie is concerned about some of the teachings that have slipped into Catholic curriculum. She started a blog because she felt very passionate about helping to raise awareness about problems she has experienced and hopes to rally other parents to make changes. potential abusers, all the while harming them psychologically and spiritually. it is in some effect a form of child abuse itself. this seems to be what the writers intended. good. And the schools seemed to open the doors wide to this unwanted visitor. be protected and in so doing, our Catholic schools may once again flourish. Please feel free to visit my blog at "Keeping Catholic Education Pure." "I bumped buggies with a friend at the supermarket the other day. It doesn't matter that she's a public school first grade teacher and I'm a homeschool mother. It doesn't matter than her two girls are cutely dressed and my two girls are still in their playclothes from home. It doesn't matter that her girls have big puffy bows in their well-combed hair while my girls have quickly snatched-up headbands keeping unruly hair out of their eyes. What matters is that she's glad to see us. Allie is a wonderful, lovely lady. She makes you feel as though you are truly someone special. She makes my girls feel special and she makes me feel as though she has all the time in the day to stand and visit with me in the shopping aisle. Our girls exchange hugs. Allie and I talk school. She asks how our first day of school was and I ask her how hers was and we exchange notes and plans for the school year. "You know," she confides to me, "I have a little homeschooled boy this year." Smiling all the while, because Allie's face is one that naturally smiles all the while, she sighs. "I don't think his mother did as good a job homeschooling him as you're doing with your children." "Really?" I'm at a loss for what to reply. I look at my first grader talking with Allie's oldest daughter. It passes through my mind that I'd appreciate a quick critic from Allie of my first grader just to see if she's up-to-par with the "requirements" of first grade. What makes her say, after only one day of observation, that this little homeschooled boy isn't as educated as he should be? Does she expect him to be able to read? Does he know all his phonic sounds? Surely he knows his alphabet by now. "You know," Allie continues, "homeschooling is a great option. You can't beat the one-on-one interaction. I have 26 children in my class this year. I can't possibly give that many students what a homeschooling mother can give. But if it isn't done right..." and she kind of shrugs, still smiling. "But, " I want to say (but don't), "homeschooling isn't about all that. The reasons we homeschool our children are so much more than how they can perform in a classroom compared to 25 other children their age. It's a lifelong process and offers so many opportunities. It's so much more than standards." But I don't say anything. I nod, lacking the ability to put my minced thoughts into vocal words. I'm smiling back at a friend whom I see randomly because we are both involved with schooling and children through two different venues. She's not anti-homeschooling so she has my respect. I'm not anti-public/private school so I have her respect. We both agree that the teacher, whether she gives her time to her own children or other children, needs to give her best to these children. We both place children at the top of our priority list. I like Allie. She likes me. This is not a conversation to defend, justify, or debate the different ways we have chosen to educate our children. It's a friendly meeting of friends. I nod again and tell her how glad I am that she and the girls were not hurt in their recent fender-bender. We talk a while longer then the girls hug good-bye, Allie gives me one last friendly smile and our buggies roll off in different directions. That's when I realize the missed opportunity in this friendly exchange of words. I regret that I didn't have the words to share with Allie what homeschooling really is. She is my friend and she's open minded enough to "get it." Homeschooling isn't about whether the first grader learned to read in Pre-K or at the end of second grade. I had one read at age four, one read at age eight, and the other three at age six. They can now all read. Does it matter when they learned? It isn't about whether the first grader knows how to sit in his seat or not. Some do, some don't. It isn't about whether the child can name the planets this fall or next. Some children can name constellations that are new to me. Does that make the child smarter than me? Some parents believe in the Better Late Than Early approach. Just because a new child in a new school doesn't know the regimented information when he/she goes into a classroom doesn't mean he/she won't know it tomorrow. If one little fourth grader is taught about electricity in her science class while another little fourth grader is taught about space, it doesn't make the other one uneducated. It means she was only taught something different at a different time than the other. But America's educational system wants everyone on the same page, or at least in the same book. Homeschoolers prefer to read a different book entirely. So what is home education? What home education is, what I wish I had been able to put into words for my friend and what I have tried to articulate to family members in the past twelve years, is a lifestyle. Clear and simple as that. But it isn't clear and simple to the ones outside this free thinking mode of education. It's a concept most people cannot relate to in today's 21st century or don't allow themselves to relate to. It's simply a lifestyle and we love it. We surround ourselves with our children and like-minded people and we form a community. • the family, not the government, is the nucleus. • our rules are based on holy Scripture. • our discipline is tempered with respect, not fear. • our children's learning and individual needs---each individual child---is carefully considered, prayed over, and planned accordingly. • travel is considered one of the highest forms of education. • grandparents teach our children higher ideals and compassion for their fellow human beings than any institution could. • siblings teach one another the ultimate level of sharing and getting along. • reading is not a simple "drop-everything-and-read" program but, rather, the cement that holds our other plans together. • we eat lunch with Daddy (even if it's a spontaneous picnic in the parking lot at work or in his office) instead of going all day not seeing him. • a trip to the grocery store or post office is considered hands-on learning. • we don't miss any days of learning due to hurricane evacuation. • learning is not based on a solitary grade but on a lifetime of "You did it!" • we don’t depend on “experts”, rather we choose to become the expert. It's not easy explaining this lifestyle to people who do not live or support this lifestyle, but it does exist and it's a good life. Back to school supplies and an Angel? In continuing our back to school theme here this week, guest blogger, Karen shares a recent and touching back-to-school shopping adventure which turned out by God's grace, to be a very interesting and spiritual experience indeed. "Yesterday we went shopping for school supplies. After picking up a few essentials, and because we were celebrating the fact that none of us had any cavities (this was a known fact, not just a guess, as we'd been to the dentist in the morning) I decreed it to be an Ice Cream for Lunch Day. We stopped for our treats, and settled down to enjoy them. As the girls were slurping their way through Oreo- and Reese's Peanut Butter Cup-laced concoctions, an elderly man approached our table. "I just wanted to say," he said rather slowly, "that you just have some very nice girls there, and you all remind me of our family a number of years back. We had three girls, too." I responded with something like, "Isn't that nice?" and said it was kind of him to compliment the girls. Then he went on to say, "I've got kind of a sad story, though ...."
Oh, no, I thought, who are you, and what's coming next? "We, um," he said, looking troubled. "We lost our youngest daughter to cancer." Oh, my. I was jolted, but managed to relay my shock and sympathy. I asked when it had happened, thinking it must've been years ago. "Just last month," he said, tearing up. "She was 41. I was there when she died. And it just ...."
"I'm so sorry," I said feebly. I looked at Anne, who was also tearing up. He continued. "She had the Lord as her Savior, and she told me that. She said she wasn't afraid ... so, you know, that's my consolation. But," he choked, "it just tears you up inside." "I can't even imagine," I whispered. The surrealness of this scene didn't really occur to me. Somehow it seemed perfectly right that I was sitting here, listening to this stranger who stood next to my table as he shared his grief with a family who was willing to listen. He shook his head, as if to recollect his thoughts, and said, "I just ... I really wanted to stop and say something to you, because I just saw that you look like such a nice, happy family. I saw your three girls talking and laughing, and I thought, 'Why there's Suzanne and Maureen and Ginger!' Just like my girls ...."
He shook his head again, and since I probably seemed unable to say anything at that point, he finished up by saying, "I just wanted to say that you all just reminded me of our family, and I could tell that you have somethin' special. You know, not everyone has that these days ... it's a rotten world, and not everyone has what you have ... and so, I just wanted to say that." Through a few more tears, I thanked him. I told him again how sorry I was that he had lost his daughter, and that I appreciated his kindness at taking the time to stop and talk to us. "God bless you," I said softly, feeling once again that my words were sorely inadequate. When he left, Anne-with-an-e was crying. I comforted her, and said that although his story was a sad one, and that he missed his daughter very much, it was comforting that they had their faith (and that we have ours.) I told the girls I was glad we were there -- glad we could listen to a man who needed to talk about the daughters he loves so much. But, also, his little visit to our table was a blessing for me, I said. I was touched that he could see how much we love one another, and touched that he took the time to say it. When we got home, I told Atticus about it -- about how it felt as if an angel had stopped to talk to us. This angel reminded me of our abundant blessings, our abundant love for one another ... of all that's really important. Then, Atticus said, "Do you remember that last phone call we got for the Rosary Crusade? It was about a month ago. They asked us to pray for a couple who had just lost their 40-something daughter to cancer." I had forgotten, but Atticus was right. Though I can't know for certain, this stranger -- this "angel" -- who had felt compelled to approach an ice-cream-eating mother and her three daughters was quite possibly the man for whom I had prayed anonymously last month. And once again, I feel awed by and unworthy of the love and mercy of such a God as we have. He intertwines our lives in ways we cannot predict, often do not see, and most certainly cannot fully comprehend on this side of heaven. Serendipity? It's such a lovely and whimsical word for grace." 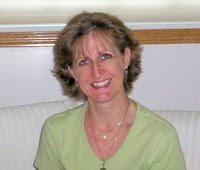 Visit Karen at her blog here Also, there's a great interview of Karen today over at Sarah's place! Interesting "coincidence." It's "Karen day!" Here's the link for you for my "Mom's Corner" with Teresa Tomeo in case you missed it. Just click here to listen. 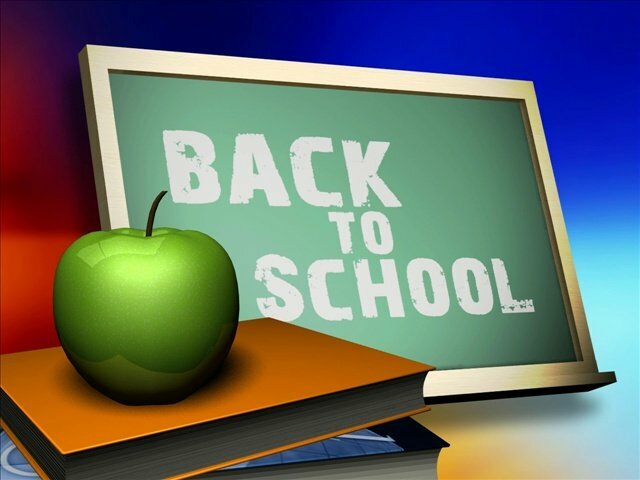 Stop back later for more of our "Back-to-School week including more about our contests. Feel free to leave comments which will also be entered into the drawings for the contests this week which are for a beautiful Rosary and for a copy of my new book. We'll be talking about back-to-school issues. I'll be back later to post a link a little later on in case you can't tune in. As well, as chat with you a bit. "You know your kid goes to Catholic school when..."
Our guest post today is from Barb Szyszkiewicz for our Back-to-School Week. She explains that "there is no one-size-fits-all solution to education." You know your kid goes to Catholic school when, during the school's Theatre Club production, a student announces: "Now there will be a ten-minute intercession." Even before we were married, my husband and I had agreed that we wanted to send our children to Catholic schools. We agreed that we wanted their school days to include reading, writing, math, science, history and faith. In Catholic schools, religion is not confined to religion class. It can touch all facets of the curriculum. Throughout the Catholic-school experience we’ve had with our three children (ages 17, 13 and 7), we have been blessed to encounter many dedicated, faithful, intelligent, and caring teachers and administrators. At my younger children’s school, the current pastor is very supportive of the school, visits the classrooms frequently, and encourages student participation in Mass and prayers. The seventh-grade teacher takes part in the March for Life each year and shares her experiences with her students. The third-grade teacher lets other teachers, aides and parents know about political developments that work against the culture of life. My high-school senior has ample opportunity, at his school, to participate in service work. Just in the past year, he has worked with Habitat for Humanity in Philadelphia and Mississippi (on a weeklong trip with other students), donated blood, and assisted at a city soup kitchen. He told me that the basketball players help at that soup kitchen every week during the basketball season—the coach requires it. It’s just what they do. We’ve also, unfortunately, encountered more than our share of Catholic neighbors and even some family members who question our decision for the way we educate our children. They’re very generous in sharing their opinions: we’re wasting our money, overprotecting the kids, and isolating them from the others in the neighborhood. Other than the criticism of tuition, we’re hearing the same things that homeschoolers must hear. We hope that we have done the same thing that all parents do. We put a lot of thought and prayer into our plan for our children’s education. We have chosen the path that works for our family. Children are all different; families are all different—and there is no one-size-fits-all solution to education. So this year as we head back to school, I’m appreciating the blessing of the freedom we have to make choices regarding our children’s education. I’m hoping that friends and neighbors will not be so quick to judge and criticize those who make decisions different from their own. I’m praying that, instead, they will support each other as they do their best to raise their children in a world that is not always supportive of our faith. During my own Catholic-school days, we began each class with the same prayer. It became a part of us, and it’s a wonderful way to begin each day—whether you’re school-age or not. Direct, we beseech Thee, O Lord, our actions by Thy holy inspiration, and carry them out by Thy gracious assistance, so that every prayer and work of ours may always begin from Thee, and by Thee by happily ended. Through Christ our Lord, Amen. Barb Szyszkiewicz is a Secular Franciscan wife and mother of three who blogs at SFO Mom Barb Szyszkiewicz and cooks at Mom’s Fridge (http://sfomomfridge.blogspot.com). "I remember the day my precious little girl was born. It was a magical day for her daddy and me. 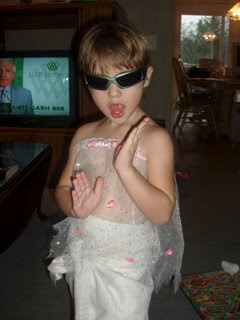 She is such a pretty baby and now she's 4 and she get's prettier every day. Her sweetness makes being a mother such a blessing. Her love and trust for God is inspiring. God has been with me every moment along the way, from her point of conception, every craving and back ache to every contraction and tears and laughter. He was there when my body filled with more emotion than I had ever felt the minute they laid that precious girl in my arms. "My daughter, do not conform any longer to the pattern of this world, but be transformed by the renewing of your mind. Then you will be able to test and approve what God's will is-His good, pleasing and perfect will." (Adapted from Romans 12:2)"
Our guest blogger today is author, Heidi Hess Saxton who shares with us a very precious slice of life from her household and also offers us a beautiful prayer as well. "At the charter school my children attend, students are required to wear a few simple basics: blue or khaki jumpers or slacks, solid-color polo shirts or blouses, solid color socks and shoes. “Like little pilgrims,” a friend of mine chuckled the week my back went out and she came over to get the kids ready for school each day. Little do they know, her sensible shoes and socks cover toes painted glittery pink. My rugged little individualist may be a pilgrim on the outside . . . but Glitter Girl is alive and well, as fresh and spirited as she was her first day of pre-school! She flits into a room full of adults clad in a bathing suit and snow hat, an Elmo slipper on one foot and a Sunday patent-leather number on the other. Her “lovey,” the grubby bit of flannel that she has held hostage since she was old enough to toddle on her own steam, is tied under her armpits, stepping-out-of-the-shower style. Truth be told, she looks a wee tad schizophrenic in that get-up. But to me she is beautiful, as I tell her without preamble. “Always and forever, my darling girl.” And with that, she skips off to annoy her brother. Snow pants and flip flops. Tiara and fireman coat. Glittery pink nail polish on nails that look as though they have been digging to China. On one level, her confidence is breathtaking. Her willfulness, on the other hand, can be equally impressive. She steps out of her bedroom dressed for nursery school in one of these get-ups, and expresses her displeasure in no uncertain terms if I send her back to, say, put her tights on over her underwear and find a dress to wear over that (instead of her bathing suit bottom, worn with the crotch over one shoulder). She thinks a minute, then shakes her head, eyes large and sober. “How about we pick up all those clothes off the floor before you go to school?” She starts to protest, but something makes her stop and – for once – start doing as she is told without pitching a fit. And for that fleeting second, I can point to one more ‘proof” that in the great battle of nurture vs. nature, the rebel gene appears to be a recessive trait. Dear Heavenly Father: As our children form their sense of self, may we always image back not simply what we want them to be, but what YOU want them to be. No matter how they came to be entrusted to us – through adoption, foster care, or pregnancy – may we never lose sight of the fact that they are first and foremost YOUR children. They are on loan to us only for a time. Thank you for that unspeakable gift, now matter how strange the wrapping. In the name of the Father, and the Son, and the Holy Spirit, Amen. Heidi Hess Saxton is the founder of the Extraordinary Moms Network, an online resource for mothers of adoptive, foster, and special-needs children. She is also the author of Raising Up Mommy and Behold Your Mother. 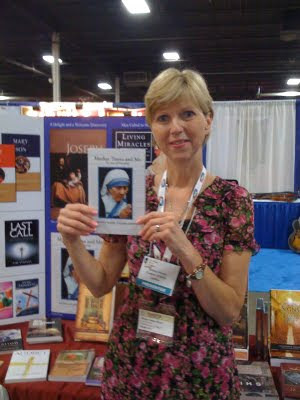 Her newest book, My Big Book of Catholic Bible Stories, is being published by Tommy Nelson in February 2010. Our lovely guest blogger is Sarah from Just Another Day of Catholic Pondering, who by the way has just re-vamped her blog. So, you should go take a look when you can. Sarah offers us a look at "back-to-school" decisions in her household this fall which required lots of prayer, discernment and love. "I have always loved back-to-school, though I haven’t been in school myself for a number of years. There’s the excitement of school supplies, for one thing. How can I not feel that the world is at my fingertips when notebooks are 10 for $10? I always feel like there’s untapped possibility that will burst forth from the rainbow of the big box of crayons. And the pens and pencils are enough to send me into fits of ecstasy. Six years ago, before I was even pregnant with my oldest daughter, I came into intimate contact with a friend who was discerning homeschooling. It seemed novel to me, and I signed up for some email lists and started researching online. 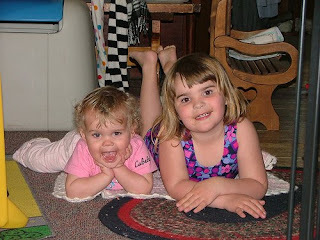 It seemed hard to think about ever having children of my own, much less homeschooling them. After all, both my husband and I had gone to schools and we had pretty much enjoyed it. In the past six years, I’ve learned a lot about homeschooling and I’ve watched friends dive in. I’ve made new friends who are old pros at homeschooling and I’ve made notes and read books and fretted and prayed. This fall will mark my first foray into the deep waters of actually doing what I’ve been reading so much about. And, to tell you the truth, I’m a little nervous. Back-to-school is supposed to mean big yellow school buses, new shoes, unmarked notebooks. Just where am I supposed to find a school bus? For me, the decision to try homeschooling has been based on two key foundations. First, it’s not life or death; it’s not a decision that has to last for the rest of our lives. We can try it this year and discern that next year will involve something different. We might need to remain flexible about our children’s education, because what we think is best might just be what Mommy wishes were best (as opposed to what God thinks is best). Second, this is a calling. There is discernment. For me, that equals many hours of prayer, many more hours of talking to my husband and various friends and advisers, and some time to just get used to the idea. Though I’m tempted to dance with the idea of perfection and I tend toward a strict and rigid “this is how it’s going to be” approach to life, motherhood has been teaching me, through the testing grounds of work I never planned to do, that flexibility is the name of the game. Have I mentioned that I don’t “do” flexibility all that well? Did you know that my life is often organized in a spreadsheet? Do you have any idea what it means to offer up your sacred cup to the One who gave you the blessing of that cup in the first place? For me, embarking on this back-to-school adventure while planning to stay at home is nothing less than a leap of faith. Oh, there will be plenty of “trips” and more than a little collaboration with a good friend. And I suspect there will be a fair share of bad days. That’s not enough to keep me from trying to follow the call I hear, though. We’ll be spending our year of preschool at home, right in the heart of the domestic church God has blessed us with. Whether it’s a success might just depend on how much I’m willing to let Him run the show." We are nearing that dreaded or perhaps welcomed time of year- BACK-TO-SCHOOL! Some children have already begun classes and some are about to enter into their homeschooling routines or are getting back on that big yellow school bus and will begin anew: backpacks filled with brand new crayons and freshly sharpened pencils while possibly a few butterflies dance around in their stomachs. Our older "kids" are embarking into that whole new world of college or may be returning for another year there. Lots of preparations going on for parents and children alike! I am running a week of posts, fun, information, and also a contest this week to help get us ready for back-to-school. I say "help us get ready" because this week may be more about the parents than the kids! We'll see how it unfolds. As I stated in an earlier post, I will enter every one's name who comments here this week or who is a contributor of a guest post into a drawing to win a copy of my new book: Mother Teresa and Me: Ten Years of Friendship which will be released in September some time and another winner will receive a beautiful Rosary that can be given to your college bound "child" or used yourself for the many Rosaries you will be praying for him or her (or for more than one child in college at a time as in my case). 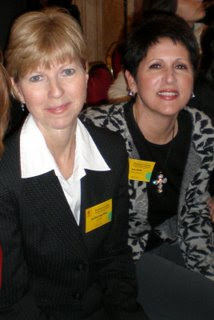 On Wednesday, I'll be posting a new radio segment in which Teresa Tomeo and I will be chatting about back-to-school. Please feel to visit and comment on my posts this week. Please also feel free to spread the word to you friends and please link and share. First off, let's remember that we can still have a great influence on our college-bound "kids" even from afar. That's when we are praying like St. Monica unceasingly for them. We can even fast and pray for them being mindful that they are being exposed to many other kinds of teaching that will be contradictory to the way we have raised them. This is when we hope and pray and really have to trust that the foundation we built for them based on prayer and the tenets of our faith will be strong in their hearts. For the younger ones, we have to make it our business to know what's being taught to them at school. We are of course their first and fore most educator according to our holy Mother Church. Even Catholic schools may and do unfortunately teach erroneous things. We must be aware, vigilant, and proactive in our children's education. I'll have a guest post from a Mom whose blog is all about purity or lack thereof in the Catholic classroom. I will be featuring some excellent guest posts here this week pertaining to kids off to school, home-schooling, college, and much more. Be watching for a college survival guide this week - for the parents, not the "kids!" Also, be watching for my article about back to school coming up in September's Canticle magazine. I'll be back later today to post some more. In the meantime, please pass the word about our week here and feel free to chime in with a comment about what you're going through right now or maybe your own back-to-school traditions. "Let us rejoice in the Lord and celebrate this feast in honor of the Virgin Mary, at whose assumption the angels rejoice, giving praise to the Son of God." Queen of families, pray for us! Let's pray a Rosary today for God's holy will. And in the words of dear Blessed Mother Teresa..."Mary, Mother of Jesus, be a Mother to me now." Back-to-school, this and that, mostly that.. I'll be running a "Back-to-School" week next week here at View From the Domestic Church. I'll also be posting details very soon so that you can tune into a "Mom's Corner" segment with Teresa Tomeo and me coming up next Wednesday where we will talk about "back-to-school" - that dreaded phrase to some kid's ears. However, we know that some kids actually love to go back to school to see their friends and partake in interesting things while others like to get back into a routine of home-schooling with their parents. Teresa and I will be chatting on all sorts of school things including the spiritual. I hope you can tune in to hear about back to college and back to school, as well as some home-schooling stuff too. I'll be putting up a "College Survival Guide" here at View From the Domestic Church and I don't mean for the students - I am referring to the parents! We are the ones that may need the survival tips. :) I will welcome your input as usual and I hope that you will leave comments about your experiences, traditions, and strategies. It's great when we can all come together and share. So, be looking for that information coming up soon. Oh, and before I forget to mention this, all of the comments that will come in to the survival guide post and actually any post next week during my "Back-to-School" themed week will be entered into a drawing to win a beautiful Rosary that can be given to your college-bound student or kept for yourself for the many Rosaries you'll be saying for your son or daughter. :) I will feature some wonderful guest bloggers here next week to share some of their own insights or traditions too. I just may be having some other goodies to give away here as well. So, stay tuned! Modern and Modest Girls Rock! My review of Modern and Modest and Girls Rock! Author and syndicated Catholic talk show host, Teresa Tomeo, teamed up with Molly Miller, and Monica Cops, putting their heads and hearts together to come up with a breath of fresh air for today’s young girls. 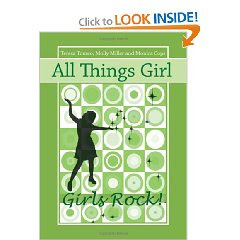 Their series, All Things Girl , published by Bezalel Books includes 6 titles, two of which are: Girls Rock ! and Modern and Modest . The series speaks about the dignity at the heart of every girl created in the image and likeness of God and does it in a very fun and appealing way. The books are generous in size and filled with colorful and attractive designs to capture a young girl’s attention. Modern and Modest is a delightful and eye-catching 59 pages and is just the book we’d love to see in every young girl’s hands. The authors cover every relevant subject for girls from being a Godly girl and turning away from the media’s portrayal of the culture’s expectations and enticements and turning toward Jesus and the Church instead, to fashion and fabrics and what modesty really means, how to be modern and modest at the same time, as well as an overview of virtues and how they apply to living as a girl in our world today. Pope John Paul II’s Theology of the Body and Feminine Genius teachings are woven through in an uncomplicated understandable way. All topics discussed in Modern and Modest illustrate to girls that they can be very modern and cool yet pleasing to God in their modesty which is consistently explained in a simple yet contemporary manner. In addition to suggesting ways to come up with a “family media plan” regarding the computer use, TV and movie viewing, this book encourages girls to look up to parents in topics such as “Daddy’s Little Girl” and “Look to Mom.” Amusing personality quizzes are sprinkled throughout the book. As well, make up and fragrance discussions, goals to achieve, and prayers to be included in a plan for life are all blended together in a delightful mix which is just right for our young growing girls. A story about St. Maria Goretti ends the book on a note to enhance the book’s message of purity and dignity. (Continued here at Catholic Exchange today.) If you feel inclined, please leave a comment over at Catholic Exchange. I was recently invited to attend the Catholic Marketing Network convention in Somerset, New Jersey which ran from August 5th to the 7th. I traveled down on Wednesday with my publisher from Circle Press. The Catholic Writer's Conference held their first ever conference sponsored by the Catholic Writer's Guild and the Catholic marketing Network. I gave a presentation with my publisher, Claudia Volkman on Wednesday called, " "Inspirational Books from Both the Publisher's and Author's Perspective." Later on, I made my way downstairs to the convention center where all of the booths of books, publishers and sellers of statuary and more were displayed. I met up with Al Kresta to do a LIVE radio interview for Al's show on Ave Maria Radio which aired through EWTN. We talked about various Catholic subjects which also included my latest books, The Domestic Church: Room by Room and Grace Cafe: Serving Up Recipes for Faithful Mothering. It was so nice to see Al again and his producer, Nick too. I then poked around looking at the booths when a gentleman (the producer) approached me who had been looking for me to conduct our LIVE interview for EWTN radio. In this interview we discussed the conference, a bit about Blessed Mother Teresa of Calcutta as well as some news about my new book coming out very soon: Mother Teresa and me: Ten Years of Friendship.. The remainder of the afternoon (it was getting late by that point) was filled with networking, and attending an evening "Welcome Reception with CMN." A light dinner followed for a few of us and off to bed early so that we could participate in early Mass which was con-celebrated by 8 priests. Fr. Frank Pavone gave the homily. Next, I rushed over to my Published Authors Panel at 9:15 AM where I sat with two other published authors and answered many questions from the moderator as well as the audience afterwards. 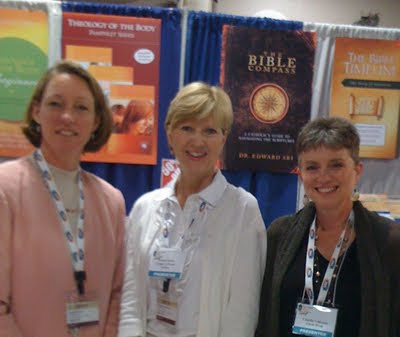 Soon after my participation on the Author's panel I went back down to the convention center to do a book signing of my books: The Domestic Church: Room By Room and Grace Cafe:Serving Up Recipes or Faithful Mothering at the Catholic Word booth. I met many owners of Catholic book stores who told me that they were selling my books at their shops. I met a lot of wonderful people. A video camera man and another gentleman with a microphone showed up unannounced and within minutes their equipment was in my face for an impromptu interview about my books. It might have been nice to have a bit of forewarning, but, by the grace of God, hopefully it came out okay. I am told that it will be put on the Catholic Word website at some point. Immediately afterwards, back up stairs again to attend the CMN luncheon in which Fr. Frank Pavone gave a talk and Dana, the Irish singer entertained us with inspirational, beautiful songs. During my book signing, I was visited by my publisher, Claudia Volkman (on the right) and Heidi Bratton, an author I met while at the CMN (on the left). I picked the winner of the book-give-away contest. I could never have done it by reading through the numerous beautiful submissions. I had to put them all in a hat and have my daughter choose one. So, are you ready? Lena at Joy Filled Family is the winner of a signed copy of my newest book which is due out in September - Mother Teresa and Me: Ten Years of Friendship. Congratulations, Lena! Please email me at DMCOBoyle@aol.com with your address so I can send you the book when it is released. She also has a picture of Mother Teresa on her blog. Thank you everyone for all of your lovely entries. I hope that you're not too disappointed that you did not win. I'll run other contests. 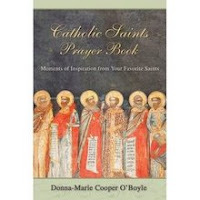 I am also taking pre-orders on my website: Donna Cooper O'Boyle.Com. If you have some time, take a look at the lovely comments about Mother Teresa here. My apologies for not announcing the winner in the Mother Teresa book-give-away contest. I had to prepare for my trip to the CMN conference in NJ and just returned recently. I'll have a post on that soon. And the winner of the contest will be announced this evening! Stay tuned! "You’re going to want this book on your bookshelf or night table. 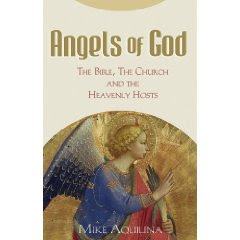 Angels of God: The Bible, the Church and the Heavenly Hosts is a wonderful inspirational book, which draws us deeper into the fascinating lives of angels..." Check out my review for Angels of God over at Catholic Exchange today.